01. Axwell & Sebastian Ingrosso – We Come We Rave We Love. 02. Swedish House Mafia vs. Matt Caseli & Danny Freakazoid – Greyhound vs. Raise Your Hands (Axwell Mashup)[AXTONE/VIRGIN UK]. 03. Dimitri Vegas & Like Mike – Wakanda[AXTONE]. 04. Steve Angello vs. Matisse & Sadko – ID[SIZE]. 05. Alesso & Sebastian Ingrosso vs. Axwell – Calling vs. I Found You (Axwell Bootleg)[AXTONE/REFUNE]. 06. Hard Rock Sofa – Rasputin[AXTONE]. w/ Laidback Luke & Swedish House Mafia feat. Deborah Cox – Leave The World Behind[AXTONE]. 07. Michael Calfan vs. Axwell & Sebastian Ingrosso – Resurrection Together (Axwell & Sebastian Ingrosso Bootleg)[AXTONE]. w/ Hard Rock Sofa & Swanky Tunes – Here We Go[AXTONE]. 08. Swedish House Mafia & Knife Party vs. John Dahlback – Antidote vs. Zeus (Swedish House Mafia OLT Booltleg)[VIRGIN UK/DOORN (SPINNIN’)]. w/ Hatiras & Will Bailey & Nom De Strip – Swagnum P.I.[HATRAX]. 09. Chocolate Puma vs. Sebastian Ingrosso vs. Alesso & Sebastian Ingrosso vs. Sandro Silva & Quintino – Go-Go Boots vs. 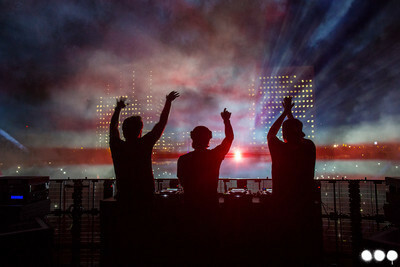 Calling vs. Epic (Swedish House Mafia OLT Bootleg)[MUSICAL FREEDOM/REFUNE/PSSST]. 10. Ivan Gough & Feenixpawl feat. Georgi Kay – In My Mind (Axwell Remix)[AXTONE]. 11. TV Rock feat. Rudy – In The Air (Axwell Remix)[AXTONE]. w/ Steve Angello – Knas[SIZE]. w/ Adrian Lux – Teenage Crime (Axwell & Henrik B Remode)[AXTONE]. 12. Coldplay – Every Teardrop Is A Waterfall (Swedish House Mafia Remix)[EMI UK]. 13. Swedish House Mafia feat. John Martin – Don’t You Worry Child[EMI UK]. 14. Hard Rock Sofa – Quasar[AXTONE]. w/ Florence And The Machine – Spectrum (Say My Name) (Acappella)[ISLAND]. w/ Faithless – Insomnia[SONY BMG]. w/ The Temper Trap – Sweet Disposition (Axwell & Dirty South Remix)[INFECTIOUS]. 15. Swedish House Mafia feat. Tinie Tempah – Miami 2 Ibiza[VIRGIN UK]. 16. Swedish House Mafia vs. Nari & Milani feat. Pharrell – One (Your Name) Atom (Swedish House Mafia Bootleg)[POLYDOR/ASTRALWERKS (EMI)/SIZE]. 17. Swedish House Mafia feat. John Martin – Save The World (OLT Intro Edit)[VIRGIN UK]. w/ Swedish House Mafia feat. John Martin – Don’t You Worry Child (Acoustic Guitar Version)[EMI UK]. w/ Sebastian Ingrosso & Tommy Trash – Reload[REFUNE]. w/ Swedish House Mafia feat. John Martin – Save The World (Acappella)[EMI]. w/ Axwell – Heart Is King[AXTONE]. w/ Swedish House Mafia feat. John Martin – Don’t You Worry Child (Acappella)[EMI UK].